What is impetigo? It is a very contagious bacterial skin condition. It is caused mainly by Staphylococcus aureus, a type of bacteria. The same bacteria responsible for causing infection in eczema. One similarity in impetigo and eczema with the staph aureus infection is blisters. When impetigo first occurs, it appears as blisters. These break and leave the skin looking red and moist. The infected skin then develops a crust, which is honey coloured. The crust appears as plaques. They are around the size of a coin. The skin can be extremely itchy. 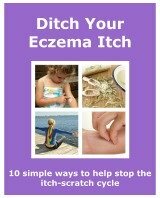 As with eczema, scratching makes the condition worse. Scratching damages the skin. Bacteria enters through the damaged skin. Therefore spreading infection. Impetigo is very common amongst children. It is mainly found on the face, often around the mouth. It can also appear on the arms and legs. It is mainly found in children because of its infectious nature. It is spread by having contact with someone infected, or their belongings. At school, children spend their time as part of a large group. Physical contact is a big part of a regular school day. From playing contact sports to sharing towels and other objects. Children are the prime targets for this nasty bacteria. When a child is found to have impetigo it is advised to keep them off of school. This is until their treatment is firmly in place. It helps to stop additional bacteria entering the blistered skin, making it worse. It also prevents other children from getting infected. It is important for anyone who is around the sufferer to take some precautions. They need to keep any bedding, clothes and towels of the infected person separate from other family member's items. Anyone in the household, or anyone who has been in contact, should keep an eye on their own skin. This is especially important if they have a skin injury, like a cut, insect bite or eczema. Any injury needs to be kept clean and covered. This prevents bacteria from entering the skin and causing infection. Regular bathing is important to prevent impetigo spreading. Using good old fashioned soap and water is the best way. To back up a simple cleaning routine, there are some treatments that can be prescribed. The main treatment used is a topical or oral antibiotic. These are a staph infection treatment. If it is a mild case and in a small area, an antibiotic ointment can be used. When the area affected is larger and more severe the doctor may prescribe oral antibiotics. These are in tablet form. Impetigo is very treatable. Although there is a high chance of reinfection within 6-9 months. It is important to see the doctor to allow them to diagnose it. Especially important because it is contagious. It is crucial to get the proper treatment. Prescribed medication is much more effective than over the counter medicines. Also as soon as it is known to be impetigo, all the necessary precautions can be taken to prevent further infection to the sufferer and to others.